Do you have an NSF or other federally funded project aimed at improving STEM or CS learning and teaching in formal or informal environments? If so, you are invited to be a presenter in this year’s STEM for All Video Showcase! Registration to present will end on February 19th (or earlier if the showcase receives more than 250 registrations). Don’t miss out! The interactive, online Video Showcase will take place May 13th – 20th, 2019. During this week-long event, approximately 200 innovative STEM Educational projects, funded by the National Science Foundation (NSF) and other federal agencies, will be featured. Presenters will share their 3-minute video and discuss it with researchers, practitioners, policy makers, and the public at large. Registration is mandatory in order to be a presenter. The link to register can be found on the site’s homepage. Video requirements are available here. Once you have registered and have been approved, you can submit your video (through a link on the site) between March 13th and April 23rd. During the event, May 13th – 20th, thousands of participants will view the videos, partake in discussions, and vote for their favorites. Successful videos will describe the need that the project addresses, the intervention, innovation, or research, and the potential impact of the work. Video presentations will cover a wide range of topics including, science, mathematics, computer science, engineering, cyberlearning, citizen science, maker spaces, mentoring, informal learning, professional development, research and evaluation, NGSS and the Common Core. The videos highlight initiatives for students of all ages (kindergarten through graduate school, as well as adult learners). 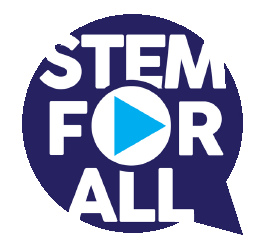 Last year’s STEM for All Video Showcase hosted 214 videos submitted by 683 presenters and co-presenters. All videos and discussions are still accessible. Over 70,000 unique visitors from 180 countries have visited the showcase, viewed the videos and the related discussions. Presenters found this to be a worthwhile investment of their time and reported that they learned about related work in the field, made new contacts and collaborations, received valuable feedback, and reached audiences interested in using their resources. The STEM for All Video Showcaseis created and hosted by TERC, in partnership with six NSF-funded resource centers: MSPnet, CADRE, CAISE, CIRCL, STELAR, and CS for All Teachers. The Showcase is funded by a grant from the National Science Foundation (#1642187).